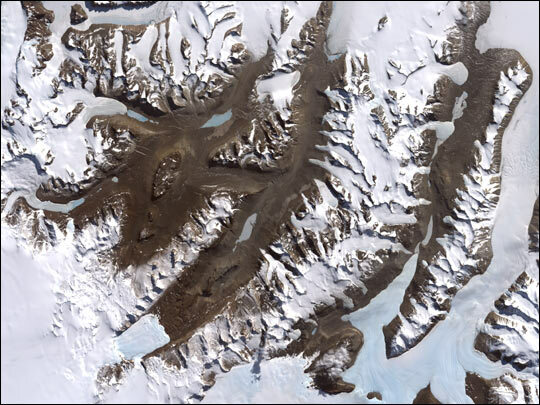 The driest place on Earth is in Antarctica in an area called the Dry Valleys, which have seen no rain for nearly 2 million years. There is absolutely no precipitation in this region and it makes up a 4800 square kilometer region of almost no water, ice or snow. Water features include Lake Vida, Lake Vanda, Lake Bonney and the Onyx River. There is no net gain of water. The reason why this region receives no rain is due to Katabatic winds, winds from the mountains that are so heavy with moisture that gravity pulls them down and away from the Valleys. One feature of note is Lake Bonney, a saline lake situated in the Dry Valleys. It is permanently covered with 3 to 5 meters of ice. Scientists have found mummified bodies of seals around the lake. Lake Vanda, also in the region, is 3 times saltier than the ocean. Temperatures at the bottom of this lake are as warm as 25 degrees Celsius. The next driest place in the world measured by the amount of precipitation that falls is the Atacama Desert in Chile and Peru. There are no glaciers that are feeding water to this area; and thus, very little life can survive. Some weather stations in this region have received no rain for years, while another station reports an average of one millimeter per year.